We’re your key to safe driving for life! With 50 years of teaching experience and 200,000+ safe drivers. Offering fun and innovative classroom and online programs through our engaging, proprietary curriculum; state-of-the art training vehicles and instructors exceeding the state minimum requirements.​ We offer classroom and behind the wheel in Bacon County and Coffee County in Georgia. We have been offering classes in Bacon County and Coffee County for over 10 years. Let our friendly instructor teach the skills you need to become a STAR driver. Can I complete driver education a number of ways? Private School (30 hrs.) classroom (virtual or instructor) and (6 hrs.) private behind the wheel training (students also need an additional 40 hrs. of supervised driving experience). Private School (30 hrs.) classroom (virtual or instructor) and parent taught behind the wheel. Virtual (30 hrs.) classroom and (6 hrs.) private behind the wheel training. How do I take the driving test for a Georgia driver’s license? Effective January 1st, 2007, 16-year-olds must be in compliance with Joshua’s Law. 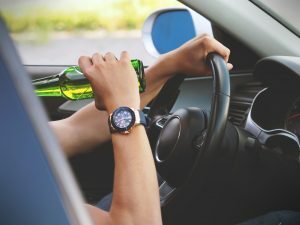 This means that, if you are under 17, you must present a Certificate of Completion of driver’s education for 30 hours of classroom instruction (or online instruction) and 6 hours of in-car driving lessons. If you are under 18, a parent or legal guardian must sign an affidavit that the applicant has completed at least 40 hours of on-the-road driving experience (6 hours of which was at night) with a parent or guardian. The 40-hour requirement is in addition to the driving completed with an instructor during an approved All Star Driver Education class (if under 17). At the time of the road test examination, a parent or legal guardian with a Georgia Driver’s License or ID Card will have to sign for you. The legal guardian must have a certified guardianship paper from court or adoption papers with an embossed court seal. During the first six months following issuance, only immediate family members may ride in the vehicle. During the second six months following issuance, only one unrelated passenger under 21 years of age may ride in the vehicle. 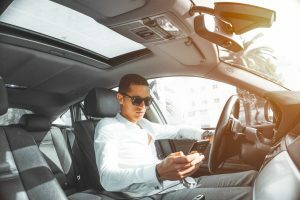 How will my insurance rates upon adding a new driver? Currently, parents are given automobile insurance discounts if their children complete formal driver education. If this bill passes, not only will home-schooled parents pay more for automobile insurance, the danger associated with less experienced drivers can raise insurance rates for all drivers. What if I need a reissue of my DDS Certificate of Attendance? By contacting the instructor, you can obtain another certificate for no charge. What if I want to have a refund? As long as you have not attended the class we can refund, more information on this in your contract. To request for a refund you will need to contact our corporate office Monday through Friday 8am to 6pm. What if I don’t pass my written test at the end? If you have failed your first attempt at written exam, you have 7 days to set a date with the instructor to retake it. What if can’t make a class date or time, how do I schedule make ups? There are makeup days built into the classes. If for some reason you miss more than a few, you can come to the next session the instructor is having. How long does it take for me to complete this course? Fall and Winter Sessions are 3 weeks of classroom work (4days/week-2.5 hours per day) then Driving times – 6 hours/Student. Summer Session are 7.5 days, 4 hours per day, then Driving times. Yes, we can offer a payment Plan if needed – half is due at the beginning of class, and the full payment is due before the driving, and issue of the certificate. Please feel free to call our corporate office during normal business hours at 734-665-7374.